We were hoping that right after HTC’s event at MWC late last night, Verizon would have dropped some Thunderbolt news on us, but instead we were left with a device called the Incredible S that may be the Incredible 2. The name “Incredible” and the contoured back obviously lead us to believe that this could be one of our next DROID family members, but the fact that it was only announced for Europe and Asia at this time has us holding back a little. The specs do match up to what we’ve been told previously with the 4″ screen, single-core 1GHz processor, and same 8MP camera, so it’s got to be our guy, right? 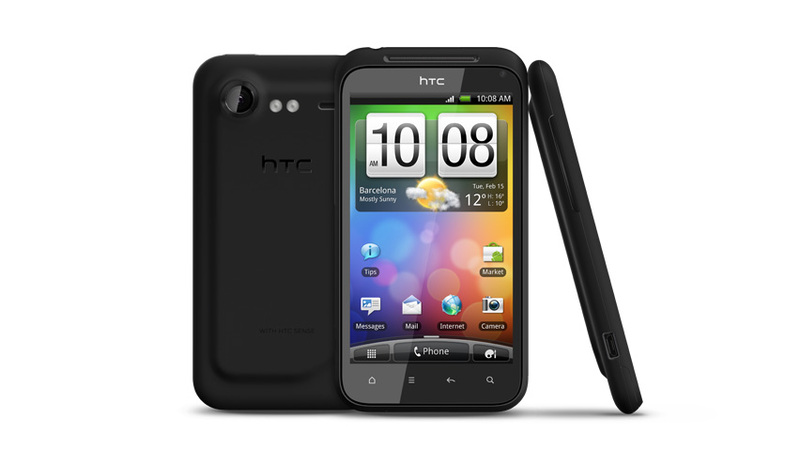 The device will run 2.2 when it launches, but HTC is assuring everyone that it will see Gingerbread immediately after. From the picture, you can see that it also appears to be running the new HTC Sense 2.1 which has some really nice improvements even over the 2.0 that will come on the TBolt. It has a front facing camera, 768MB of RAM and is definitely just a 3G device. Note: Let’s hope I’m wrong on this, but I have this really bad feeling that all non-4G LTE phones on Verizon will be stripped of their front-facing cameras. Hopefully this one sticks in the U.S. version, but the DROID X2 not having one is a bad sign. And if I am wrong, then what the hell is Moto thinking by leaving one out?